Makes 2 loaves of bread in 1lb tins. 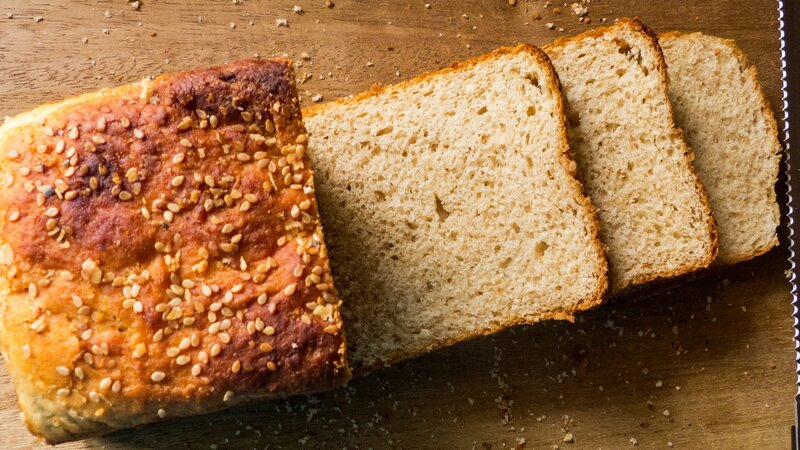 Place the mixture in a greased bread tin and bake at 175c for 1 1/2 to 2 hours. Take the loaf out of the tin and tap the bottom. If there is a hollow sound, the bread is cooked.